NEERS recognizes service to and excellence in the field of estuarine ecology and participation in NEERS meetings through its awards program for both professionals and students. Click the button to see our past winners. It is only given if someone fulfills the criteria, so it is not necessarily given each meeting. 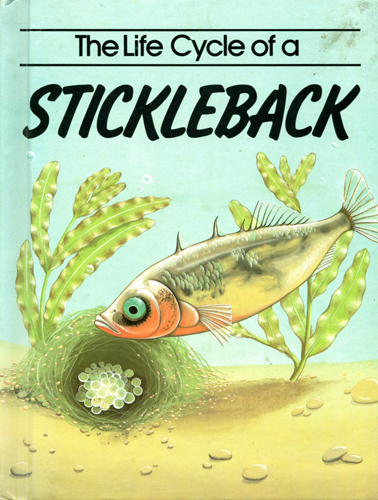 The award consists of a cherished copy of the book "The Life Cycle of a Stickleback" by Philip Parker, Illustrated by Jackie Harland, published by the Bookwright Press, 387 Park Avenue South, New York, NY 10016 in 1988. It includes a discussion of the stickleback's "zig-zag" dance. The book was given to NEERS by member Cindy Delpapa in 1998 specifically to establish this award. The book remains in the possession of the award winner to savor their achievement. It is their responsibility to bring it to the next NEERS meeting. The Graying Gracefully Award was initiated in 2001 and is awarded at the discretion of the President to the senior scientist who gives an exceptionally thoughtful and inspiring presentation at a NEERS meeting. 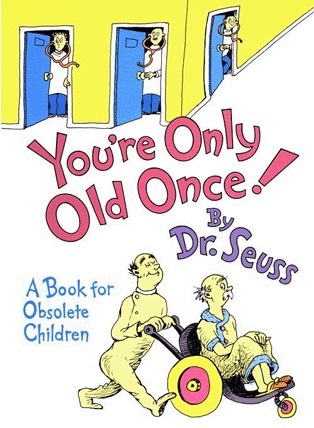 The award consists of an old copy of 'You're only old once' by Dr. Seuss. The winner's name is written in the front of the book and the book is passed to the next winner when the prize is next awarded. This award is given out at the discretion of the President and need not be awarded every meeting. This award was established to recognize people who "have made significant contributions over a period of years to estuarine science, education, conservation, or management"; recipients need not be members of NEERS. This award was approved at the Fall 1998 meeting. 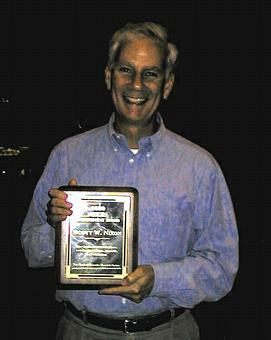 It was first presented to Scott Nixon at the Spring 2000 meeting in Portland, Maine. NEERS offers travel support and presentation prizes based on the quality of the scholarship and presentation at a NEERS meeting. Eligibility requirements, instructions on how to apply, and judging criteria are discussed on the Student Award Procedures webpage, found under the category of "Meetings." The Student Award endowment Fund was established to generate income to fund all student prizes and travel awards. Five dollars of every Regular membership goes toward the student endowment fund. The Buck Ketchum Award is given to the best graduate student oral presentation at a NEERS meeting. The student must clearly be the senior contributing author but need not be the sole author of the paper. At the Fall 1973 meeting, Bernie McAlice proposed the establishment of a $25 award for the best student paper. The "Student Award" was first given at the spring 1974 meeting, when two students tied for the award and split the $25 cash prize. In the fall of 1974 Jay Moore was commissioned to design a certificate for the Student Award. (the original pencil sketch by Jay Moore for the "Student Award" certificate is presented here) Due to opposition from some members the Student Award was discontinued after the fall 1975 meeting. At the Fall 1982 meeting, Larry Spencer suggested that the award for best student paper be revived, and be named in honor of Bostwick H. Ketchum, who had died in July. Buck (as he was known) earned a Ph.D. from Harvard University in 1938. After teaching at Long Island University for one year, he began, in 1940, a long and distinguished career at the Woods Hole Oceanographic Institution, as Associate Marine Biologist, Marine Microbiologist, Senior Biologist, Senior Oceanographer, Senior Scientist, and finally Associate Director (1962-77). He joined NEERS in 1970 and was made an Honorary Member in 1973. The "Buck Ketchum Prize" for the Best Student Paper, consisting of a certificate and $50 cash, was first awarded at the Spring 1983 meeting. Initially, requirements were that the student must be sole author of the paper; in 1990 this requirement was revised such that "the student must clearly be the major contributing author." The Rankin Prize is awarded for the best Undergraduate Oral Presentation at a NEERS meeting. The student must clearly be the senior contributing author but need not be the sole author of the paper. At the Fall 1988 meeting Kathy Smith suggested creating a best undergraduate paper award, to be named the Stubby Rankin Prize, in honor of long-time NEERS member John S. Rankin, who had died in December, 1987. Stubby (the nickname originated in graduate school due to his stubborn nature) received a Ph.D. in Parasitology from Duke University in 1936. He taught at Amherst College for five years and the University of Washington for two years before moving to the University of Connecticut in 1943. Stubby founded (in 1956) and served as Director of UConn's Marine Research Laboratory in Noank. He taught various courses in Invertebrate Zoology until his retirement in 1976, after which he served various administrative stints at AAAS, the Sea Education Association, and the National Science Foundation. Stubby joined NEERS in 1970 and was made an Honorary Member in 1981. The Stubby Rankin Prize for Best Undergraduate Student Paper was established by the Executive Committee at the Spring 1989 meeting, and was first presented at the Fall 1989 meeting by his widow and long-time NEERS meeting attendee, Julie Rankin. With the creation of the Rankin Prize for Best Undergraduate Student Paper, the Ketchum Prize became the award for the Best Graduate Student Paper. The cash value for the Rankin Prize was set at $50, with the Ketchum Prize remaining at $100. With development of the Warren Prize, the Rankin was awarded for Best Oral Presentation. The Dean Prize is awarded to the best graduate student poster at a NEERS meeting. The student must clearly be the senior contributing author but need not be the sole author of the paper. The Warren Prize is awarded to the best undergraduate student poster at a NEERS meeting. The student must clearly be the senior contributing author but need not be the sole author of the paper. 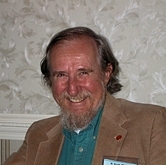 The Scott Warren Prize was recommended by the Board and approved by the membership at the Fall 2002 meeting to honor Dr. Warren's long-term commitment to the Society and especially his dedication to inspiring undergraduate students at Connecticut College to present their research at NEERS meetings. Dr. Warren has been a professor at Connecticut College since 1970 where he has been an outspoken advocate of wetland and tidal marsh preservation. He has focused his research primarily on the wetlands and marshes of New England. We award three $100 awards for each NEERS meeting and two $500 awards for CERF meetings. Additional awards may be available depending on the success of fundraising. Instructions on how to apply are discussed on the Student Award Procedures webpage, found under the category of "Meetings."